Bulbs used for naturalizing are generally springtime bloomers with showy flowers. The most well-known naturalizing bulbs are genus Narcissus (daffodils and jonquils), crocuses and glory of the snow (Chionodoxa). To lend extra emphasis to the natural character of your landscaping - such as in a wood, wildlife garden or park - including native flower bulbs can be a most welcome addition. 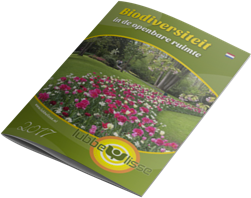 Likewise, bulbs that are not truly native yet have been cultivated in the Netherlands for centuries are also excellent candidates for combining with wild bulb plants. Any questions about green spaces or planting public spaces? Our team of green experts are there to assist you. We will be happy to visit your location to talk about the options without obligation.